I have been a photographer for many years now but only got involved into wedding photography in India back in 2007 when I first started working on my book on Indian weddings. The market of wedding photography in India was very different back then and I was possibly the only Indian wedding photographer who covered weddings in a documentary style. All this has changed rapidly and the market is now flooded with new photographers. Not only that, Indian weddings have now become a trend worldwide with many foreign photographers trying to add one to their portfolio. 1. Welcome to India! Adjust your watch to IST = ‘Indian Stretchable Time’. Indian weddings are NEVER on time, no matter how serious the family is about being on time. It is loveable when you are chilling with a drink in your hand but when you are a photographer and are ready for the shoot at 9AM, it can be frustrating if the family reaches only two hours later. This might seem like an exaggeration but it actually happens all the time. A day planned for ten hours could sometimes become fourteen hours or more. It is advised to take this into consideration when planning your day. Including a clause in the agreement to cover for extra hours could be a good idea. 2. How about working alongside eight more photographers at the same wedding? This could make for a few funny pictures for you but can be challenging to work with. 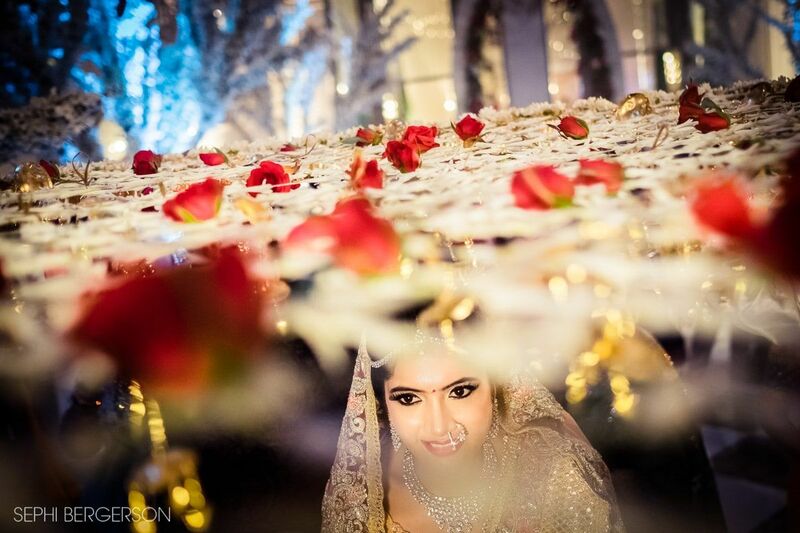 The fact is that having more than one team of photographers is not so rare in Indian weddings. You might have been in touch with the bride but for all you know, the groom’s family might have also hired their own team, ‘just in case’ without even letting the bride know. You come to the wedding all prepared and happy only to find a team of six or more other photographers fighting with you over space. I’m sure I don’t have to elaborate on how bad this could be for your mood and peace of mind. It is very important to let the bride/groom/family/wedding planner know that in a situation like this, it is highly recommended to coordinate in advance so that everyone knows what to do and you get your space to work. Keep calm and breathe in. 3. Remember that technology has not yet filtered into every corner of this huge continent. Be prepared to sometime be forced to work with videographers still using hot halogen lights, especially in South Indian weddings. I was once told that people in India want to look pale in the the wedding video and that halogen lights, which is so terrible for still photographers, is actually the thing to do in south India to make everyone look ‘fair and lovely’. This light can be terrible for your stills if you don’t know how to work around with it in a creative way. However, it could be a fantastic back-light if you manage to position your subject between you and the halogen. 4. Prepare for strange hours of the day or night for the wedding ceremony. Many Indian weddings, although not all of them, are timed in collaboration with an astrologer who decides the most auspicious hour for ‘tying the knot’. This auspicious time, how strange, is very often around 2-3AM (! ), especially for weddings in north India. The guests will arrive, have dinner and leave. Eventually, the only people left at the venue is the close family and the couple, who may sometime fall asleep before the time comes to start. Tamil Brahmin weddings in south India are likely to take place at about 5AM and the bride would start to get ready . . well you know. Chill! Make sure to ask if it is a late night or an early morning wedding so that you get some sleep during the day before. 5. Indian food is a huge thing and I love it. I don’t know about you, but I have a very fast metabolism and a very short fuse when it comes to hunger. I can work for hours without food but when I get hungry, the red light starts blinking and I must eat immediately. If you are used to having your dinner at 8:30, you might be very disappointed, not to say extremely hungry, if the food does not come before midnight. It is not always so, but it does happen. People in India have dinner late. Very late! There will be appetisers all the time of course, so see that you eat something before dinner, or feed on the starters so you can survive and continue working. 6. Prepare for a very long ceremony. The average wedding ceremony will last for about two hours with lots of small details and sanskrit verses. Not only that, it is almost never in the same order that your last wedding was and there is always another small thing that you have never seen before. The most elaborate one I have seen were the Gujarati weddings with very long pre-wedding ceremonies involving the brother and his wife performing a whole wedding-like ceremony of their own. 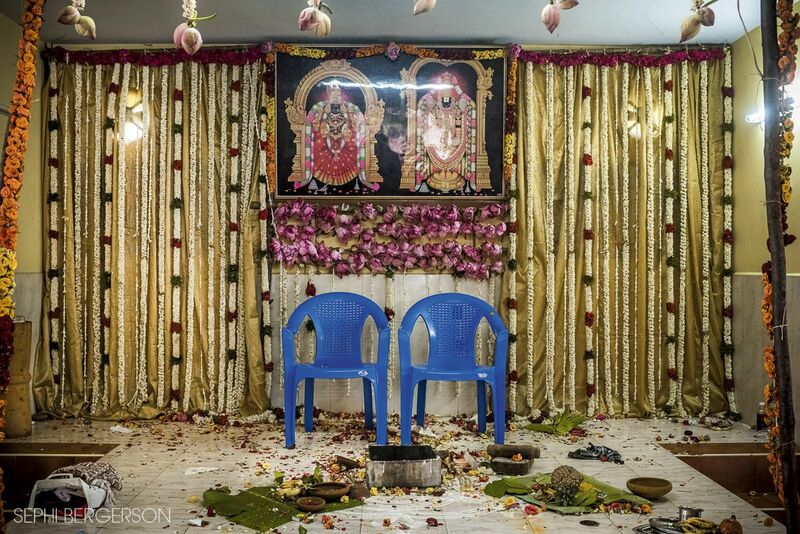 A full-scale Tamil Brahmin (TamBram) wedding will last for around FOUR hours, and there will be a lot of stuff going into the fire so have your memory cards and batteries ready. When you get the hang of it, you could relax but let me tell you that I shot thousands of pictures at my first TamBram wedding just because I didn’t know which ‘swaha’ was the important one. 7. 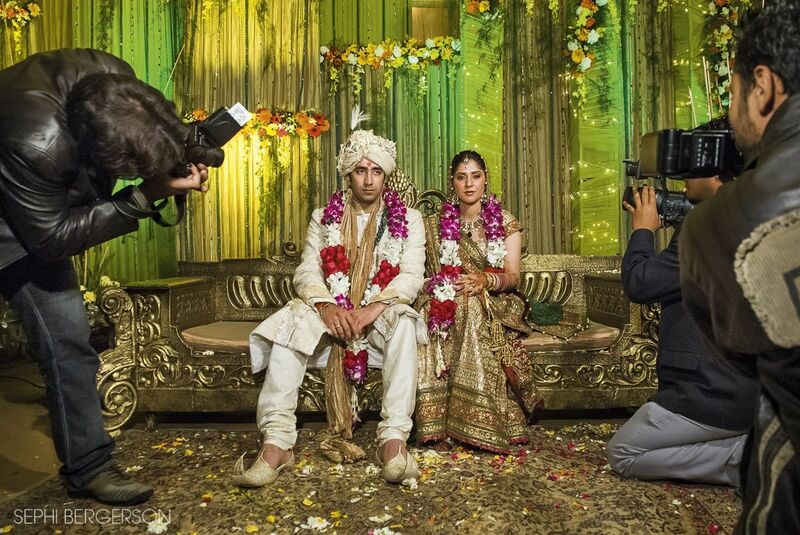 The old-fashioned Indian wedding photographer is a special kind of a guy. His job has been rooted in Indian traditions for many years and the expectations are well defined. The photographer has a certain job to do, and a part of this job is to take a picture of EVERY guest that came to the wedding, no less. The couple will be seated on a decorated stage with guests passing one by one to bless, give a present and have their picture taken with the couple. Depending on the number of guests, this process can take hours and is an absolute nightmare for everyone involved. No one will ever look at these pictures but it is culturally expected for the parents to let all the guests feel important enough to have had their picture taken. If you do not want to be the one doing this, and I have a feeling this is not what you have in mind when you imagine your career as an Indian wedding photographer, you might as well prepare in advance. Make sure you understand this need of the family but have someone else do this for you, or confirm that this is not expected out of you so that you are free to take creative images. 8. 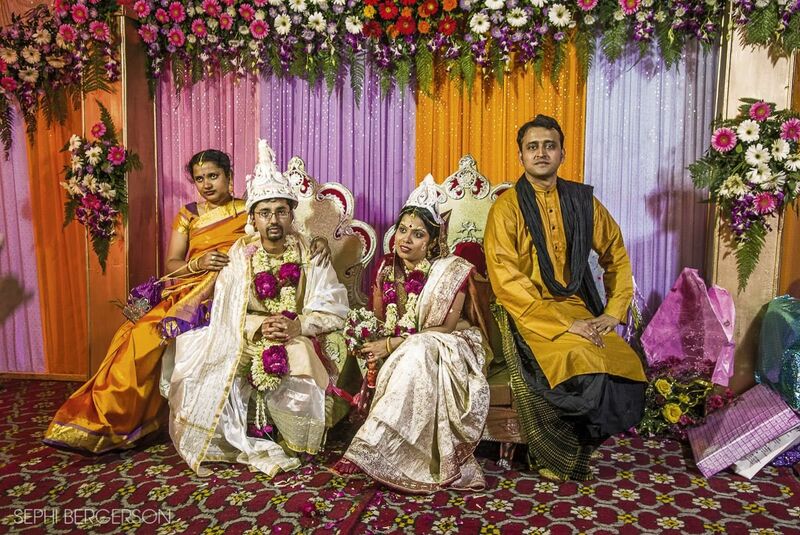 Unlike the guy I mentioned before, the traditional Indian wedding photographer will pose the couple to death. There is very little posing in the way I work. I am not crazy about posing and I like it natural anyway. Nevertheless, there is one picture that unless you stop and pose will not happen and will be missed. It is the picture of ONLY the couple. The picture that will be framed and kept by the parents and grandparents. You must pose for that. I learned this from the photographer who shot my own wedding and he was right. The thing about Indian weddings is that many times the worst time to do it is after the wedding, although this is the ‘best time to do it’. I lost you? Well, obviously the best time would be to take the picture when the couple is in their wedding attire as newly weds but the thing is that because the wedding is so long, they will simply be a bit tired and will not look so good in the picture and you don’t want that. Above all, the vermilion, or the Sindoor, applied on the forehead of the bride will ALWAYS fall on the nose and is impossible to brush off. For this reason, I always think the official shot is better done before the reception and not right after the wedding. Take one for the road with the dirty nose but make your killer shot before the reception. 9. India is becoming very popular for destination weddings, especially, but not only, for beach weddings in Goa or Kerala. Now the thing to remember about beach weddings in India is that the couple will always face the east. This is important because in Goa or Kerala the sun will always set behind them making the light an issue. Not every shot is a silhouette so have some kind of a fill-in with you, a flash or a reflector, just in case. 10. 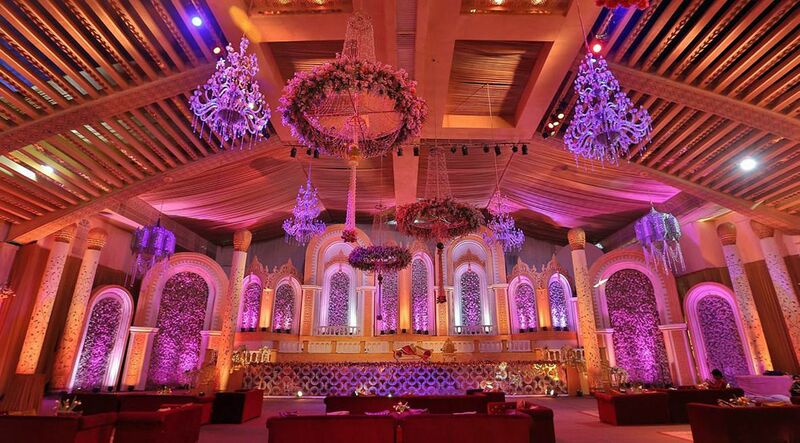 Indian weddings can have many different events over a few days and a hectic coordination might mean you spend too much time going back and forth between your hotel and the venue. This, together with some unpredictable traffic, might lead you to miss an important part of the event. Insist on staying at the same hotel with the couple, if possible. This will also give you access to your gear so you do not have to carry all the stands and lights with you all the time or leave them behind unattended. Seems silly but I can give you many names of photographers and videographers who will swear that this is one of the most important tips! 11. I know I said ten tips but seriously, 10 does sound better than 11. So one for the road that is true for weddings worldwide and not only in India. Try to be in touch with the couple themselves and not only the wedding planner or the sister/brother/friend. Making sure the bride and the groom know you and know what to expect of you will make the whole experience more personal and this is what we all want. If I am expected to produce magic, I need to see it in their eyes. This is so much easier as a friend than as a service provider. Please let us know your thoughts and ideas in the comments below. We would love to have your feedback. Nice Write up Sephi Bergerson..!! Thank you for the interesting article and all the best. Have you ever attend a marriage in north-east India. It will amaze you more. As a matter of fact I have not, and while working on the book I really looked for an opportunity. This, unfortunately, never did happen. I’m sure it would be amazing.